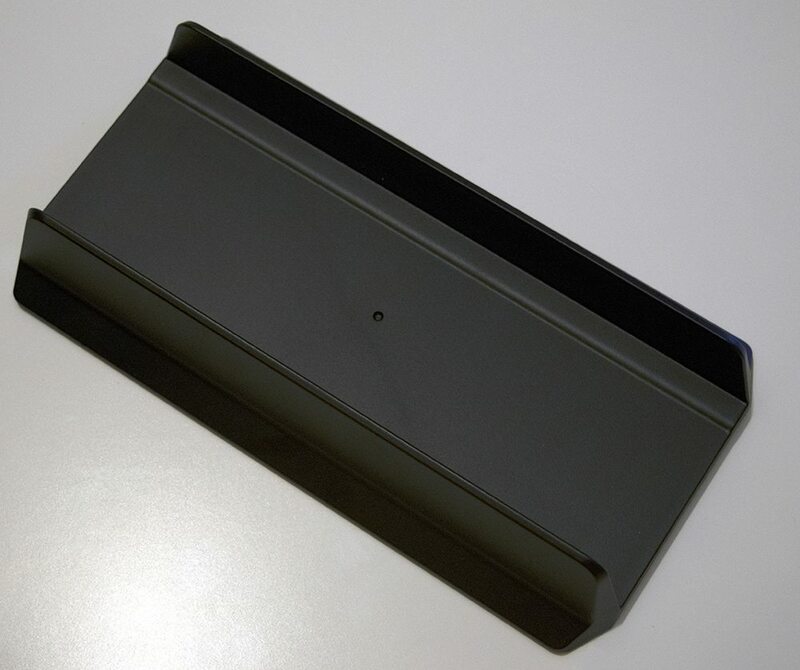 For our latest system review here at Play3r, we have something which should really peak your interest; especially if you are into small, but mighty builds. 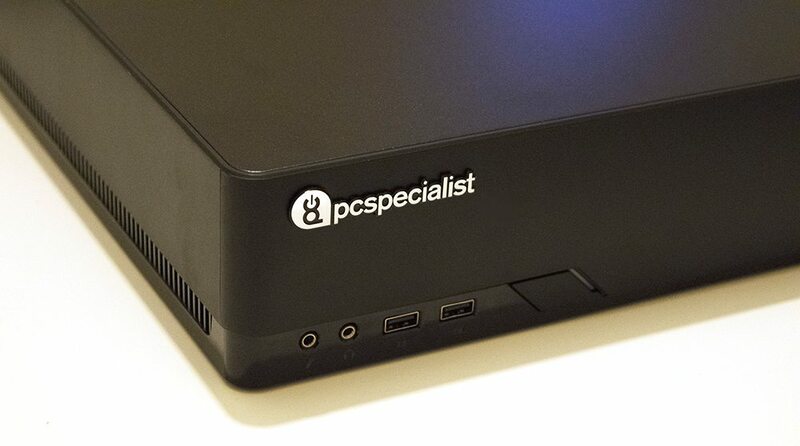 PC Specialist is no stranger to us with us having reviewed one of their systems previously, but who are PC Specialist and what are they about? 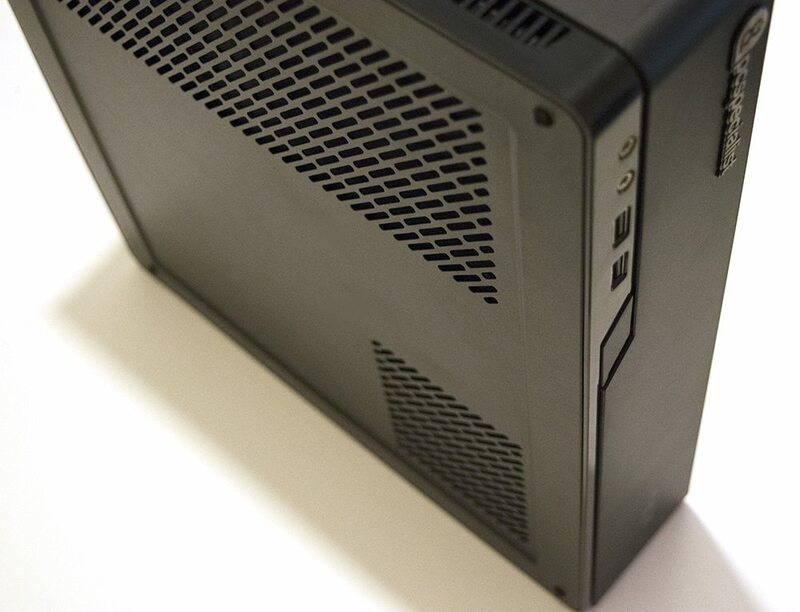 Enter the Orion Nano, a small, but highly mighty gaming PC based on Fractal Designs gorgeous NODE 202 Mini ITX case which comes included with a Fractal Integra 450w SFX PSU; SFX/SFF means small form factor! Aside from the chassis, PC Specialist has gone with Intel’s Z170 chipset and the Core i5 6600k quad core processor at the heart. 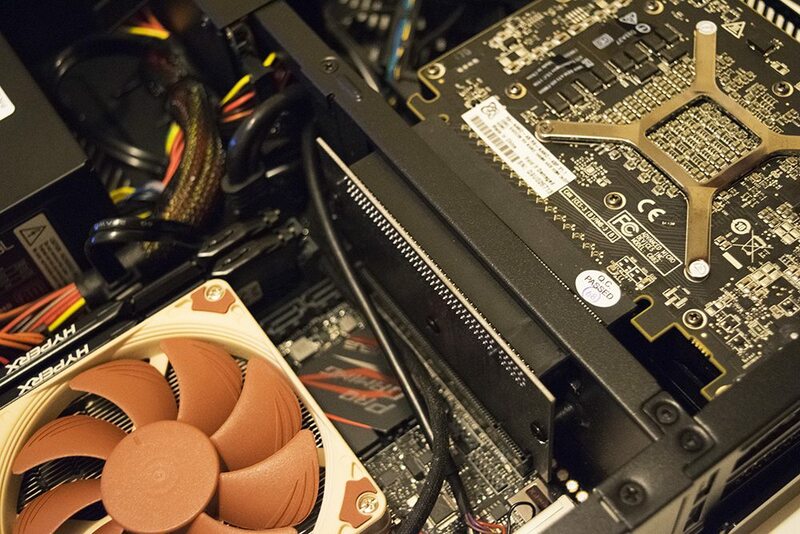 Of course, other components make up the system such as the 16GB of HyperX Fury DDR4 memory, the super speed Samsung SM951 M.2 256GB SSD and Noctua’s little NH-L9i low profile cooler, none stand out more than AMD’s R9 NANO which completes this as a certified small form factor system. One very fitting and appreciated aspects of any custom build purchased from a retailer, is a package fitting of such a bespoke little system. 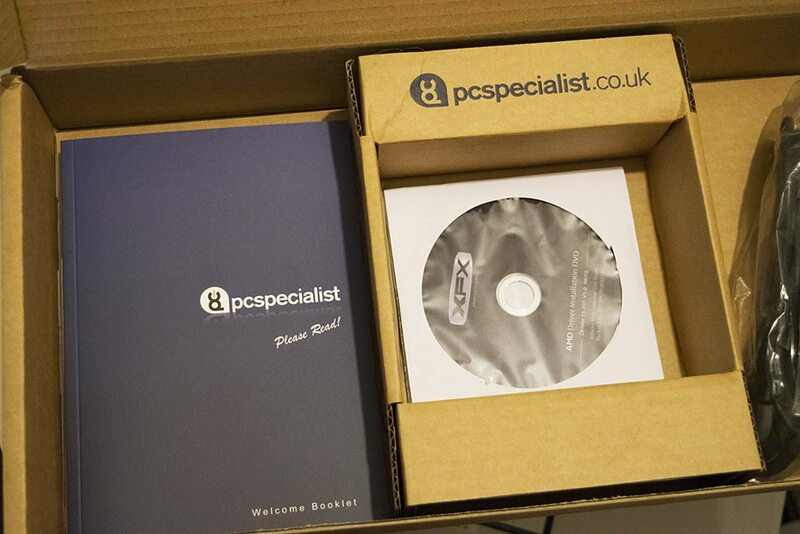 The famed PC Specialist welcome pack is a great addition and should make you feel good about purchasing one. 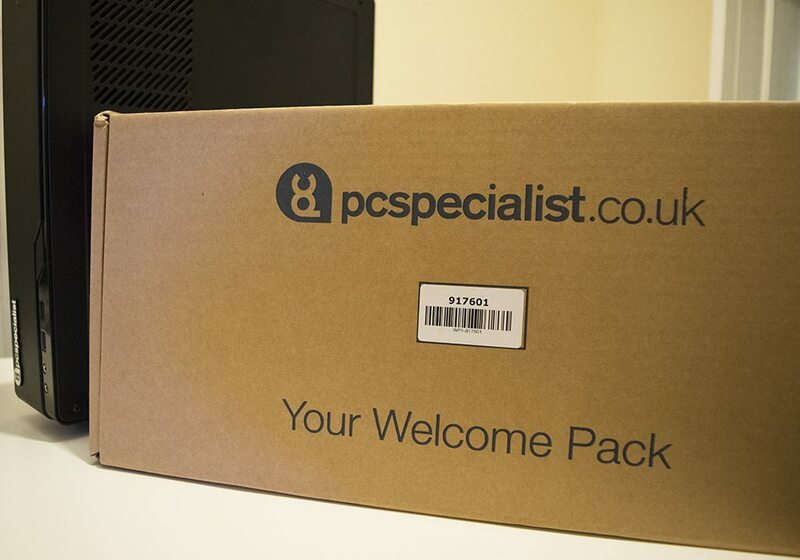 Inside is a tailored PC Specialist welcome booklet, a cache of driver installation CD’s and all the necessary power and VGA cables to get you powered on, plugged in and started on the road to PCMasterrace city! 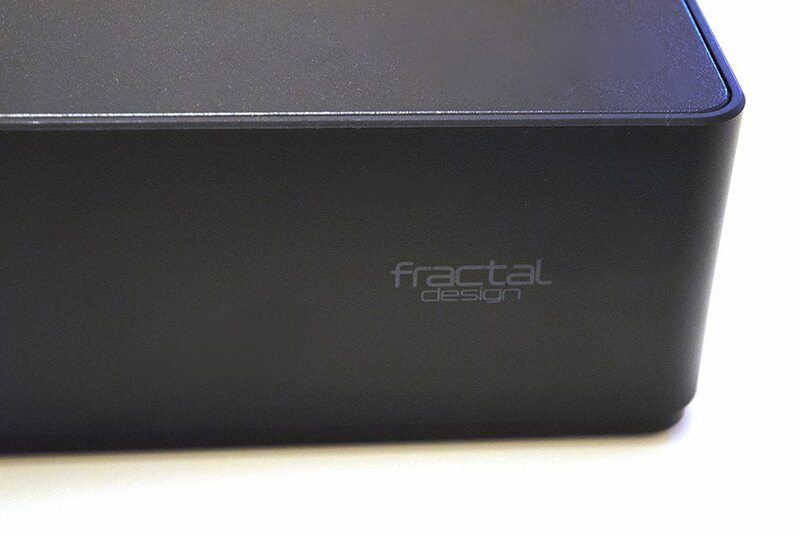 So as I excitedly mentioned previously, the Orion Nano comes built inside of the Fractal Design NODE 202 ITX chassis which is made from high quality aluminium and looks very stylish indeed. One of the strong points of this case is of course the size, the quality and the ability to position it in multiple ways. 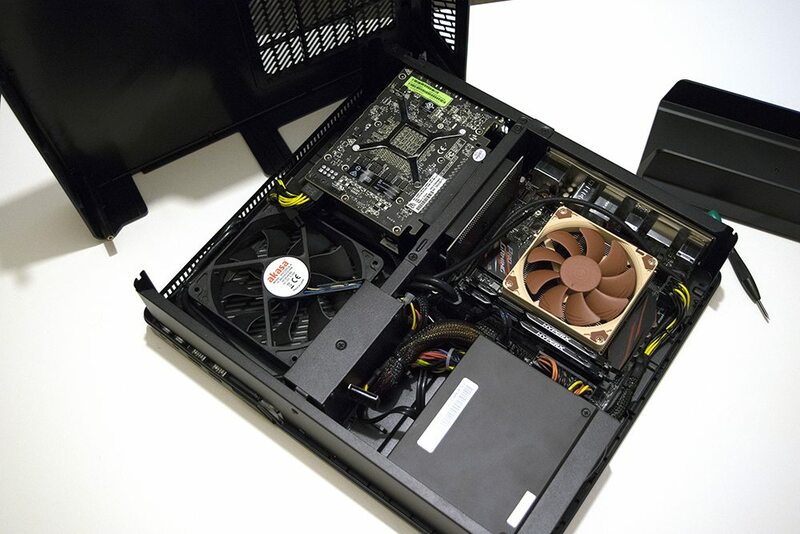 You can either have the chassis standing like a regular midi tower, or lying flat underneath a TV making it a solid option for a HTPC. 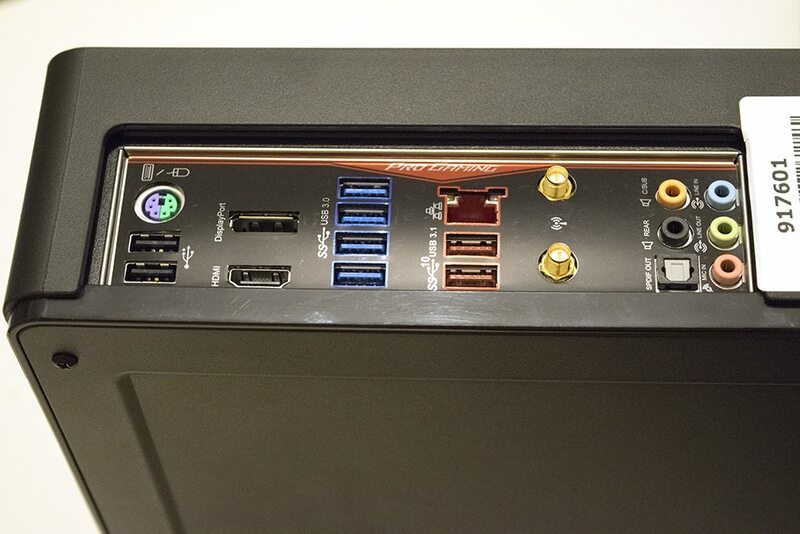 Here we have the stand which allows for multiple placements of the Node 202 and system; up, or down…it’s up to you! After taking the top panel off the Fractal Design Node 202, I was greeted with a nicely neat array of SFF sized hardware. Although the Fractal Integra 450w SFX power supply is standard to the case, the Noctua L9i low profile cooler, XFX R9 Nano and HyperX Fury DDR4 memory aren’t! The cabling might not look overly neat, but believe me, it’s always the case with true SFF systems; cases lack cable management to reduce overall space… that is the whole point of SFF! 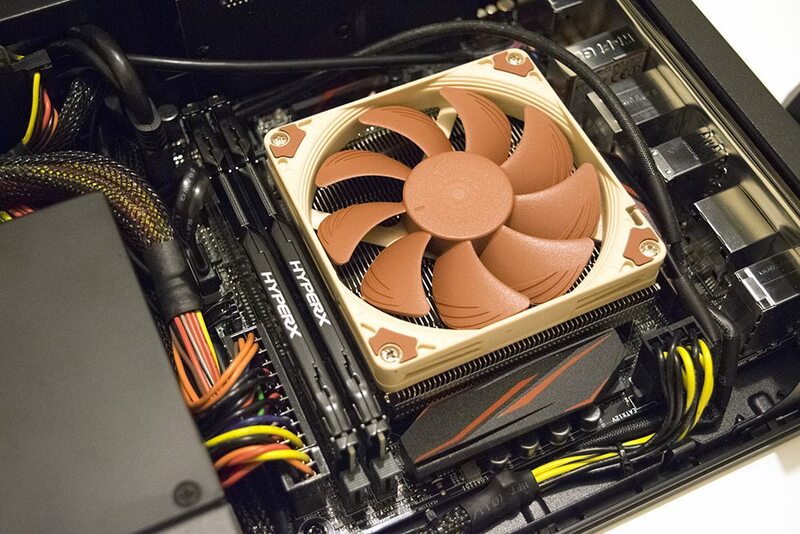 Doesn’t that XFX R9 Nano look so cute just sitting there? One thing I absolutely love about this system, is the implementation of the graphics card. 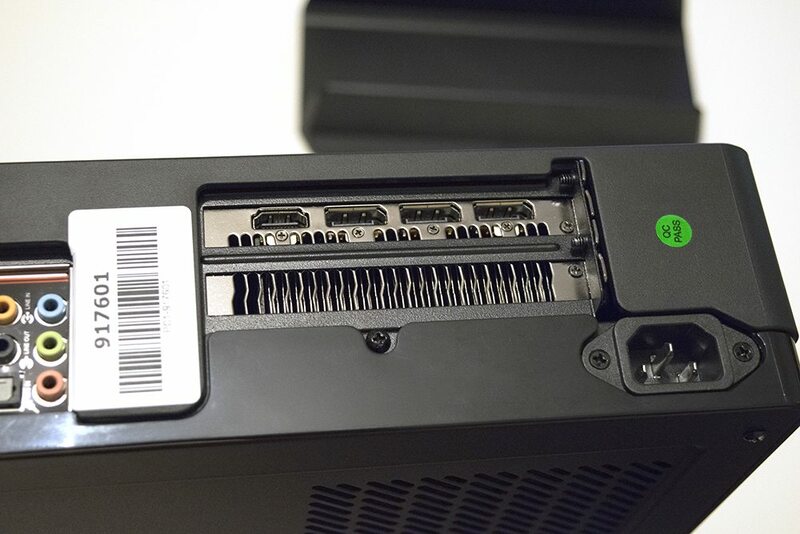 It’s linked in via a custom PCI-e extension which may be a feature of the chassis itself; you are buying the chassis with this system; thus reaping all the rewards of top quality components. Next articleDark Souls III Review – Excruciatingly Entertaining! Well I bought one, I have been looking for a similar spec nano pc capable of games at decent frame rates and this ticked the box pretty much. Id have hoped the ddr4 would have been a faster version but all in all its a great price; especially when you spec it like for like on other sites. 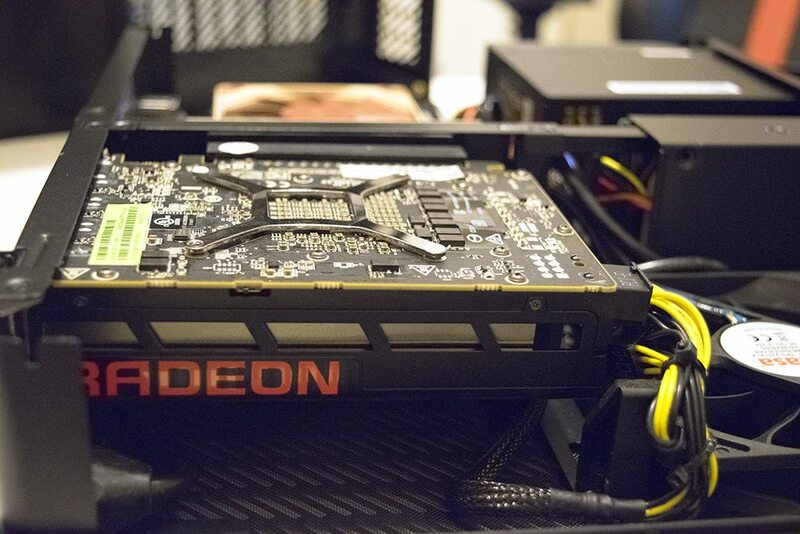 The r9 nano will certainly do until pascal arrives. I’ve just got to wait for the build and delivery, I’m sure the wait will be worth it. Craig, Well I have got it now, it was ten working days in production, and about 24 hours for delivery. I did have an email and phone call about the 5th working day to inform me the r9 nano was not in stock; I had the option to wait or choose a different card, so for an extra £80 I chose a Zotac GTX 980Ti. So arguably even more powerful for the price. The pc is great, very quiet even under load, the subtle red glow from the mobo, very snappy loading/boot times and the case is even better in the flesh, compact, premium and solid. 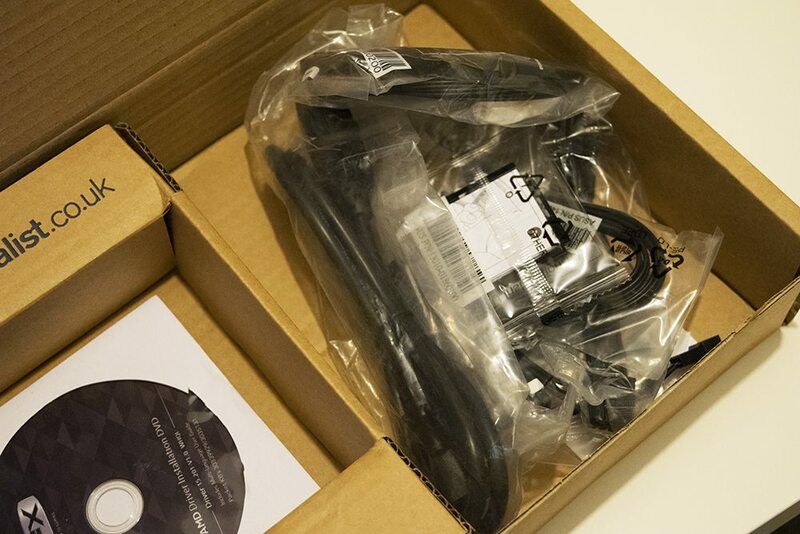 I’m happy with the service I received and order tracking, albeit the waiting time seems long, its been worth it, ticks the boxes on many fronts.